Dropping 1,700 feet in elevation from end to end, the Colorado River Headwaters Byway follows the Colorado past reservoirs and lush ranch lands, and through narrow canyons flanked by the railroad. Wildlife abounds and access to miles of public land offers year-round recreation and views of mountain landscapes and geology. The stretch between Grand Lake and State Bridge offers firstclass fishing, canoeing, and rafting, along with plenty of quiet spaces where you can sit on the banks and contemplate. 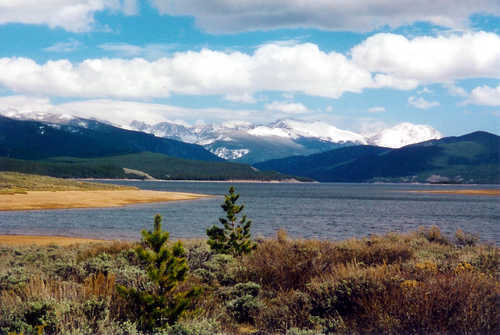 The route begins at Grand Lake, an old resort town on the shores of Colorado’s largest natural lake, and ends on a gravel road through spectacular Upper Gore Canyon. Special Considerations: The road between Kremmling and State Bridge has gravel surface and limited visitor services.